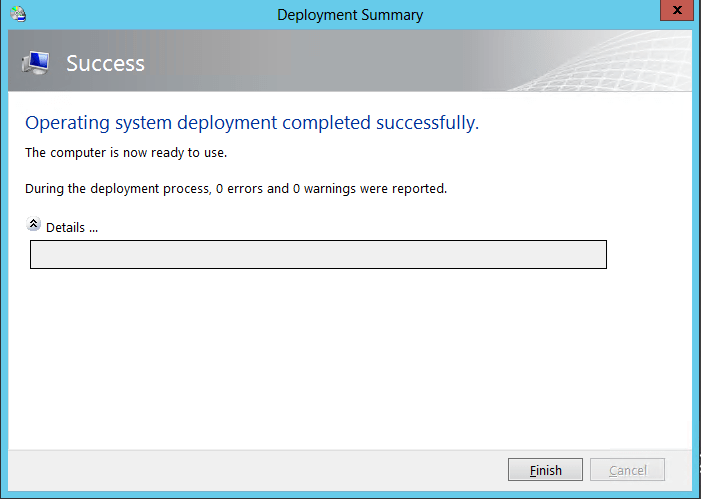 I ran into an issue the other day while deploying a new VM in our Server 2012 development Hyper-V environment. I went through the new VM creation wizard, setting my folder paths, NIC, default memory at 512MB. 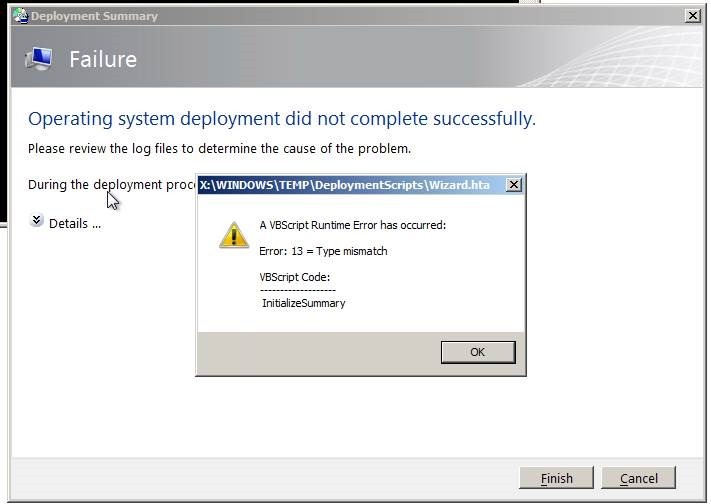 I also specified that I wanted to install my OS via network installation in the wizard as I was planning to use MDT 2012 via PXE load. I had seen this before months ago, but could not remember how I got past it. After analyzing my Deployment Share, looking at various scripts, and searching online, I increased the RAM from the default 512MB to 2GB, then tried my deployment again. It was then successful.